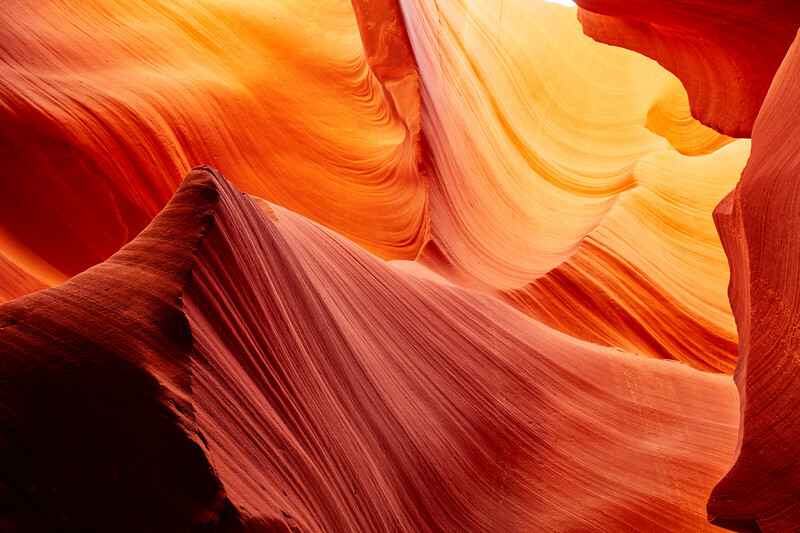 It's hardly surprising to see so many photographers dream about going to Antelope Canyon: the gold colours of the canyon are incredibly rich, as the light bounces on the sandstone, capturing a very warm tone before illuminating the next wall, making its colour pop even more. Work on your composition to show off the soothing waves and beautiful texture, any position will do: there is no rule, no horizon to respect, just feel free to compose in the angle and direction of your choice. Soon, you might discover why this place is so fascinating in my humble opinion: what you end up capturing is not just the canyon, it's a part of yourself.